Soon enough these two lovely ladies will be creeping into your living room too! 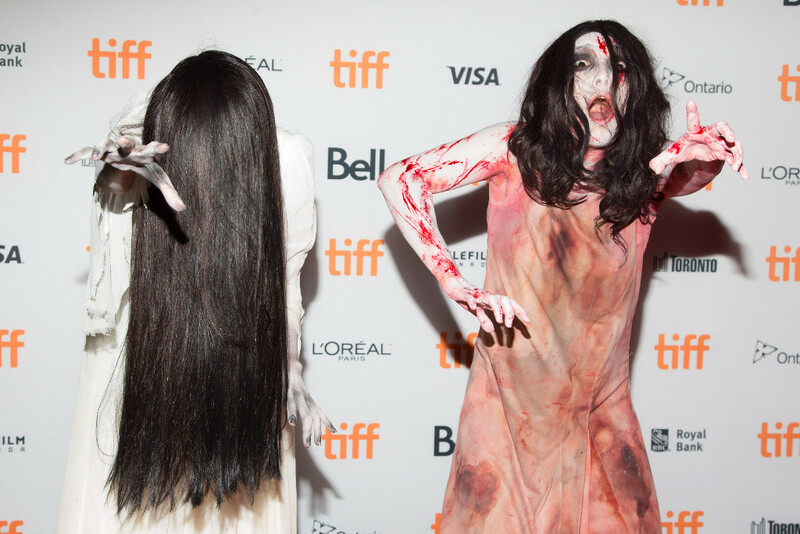 We'll have more on Shudder Canada before Halloween rolls around, but the spooky streaming service was on hand, red-carpet style, at TIFF with these twin terrors in tow. Having a service like Shudder hit Canada may be the best thing in horror here since tax shelters. No doubt, having the ghosts of Ringu and Ju-On together is the best thing since Freddy vs. Jason... or a hundred times better! From the presser: Movie monsters from The Ring and The Grudge have their red carpet premiere at TIFF. Sadako vs. Kayako, coming soon exclusively to SHUDDER, AMC’s premium horror streaming service - launching soon in UK, Ireland and Canada.